I have a Windows 7 64-bit installation, with IE9 and the latest version of Flash (10.3.181.34) installed. I was not able to view most flash in webpages, even the "about flash" page on Adobe's site. There is a long thread with various workarounds and solutions (which all were promised to be unnecessary once 10.3.181.16 was released), but it was not until the 3rd page that I found a hint which allowed me to fix the issue. 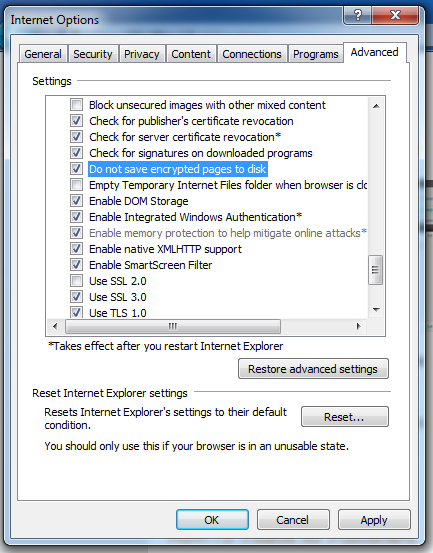 Go to IE9 > Tools > Internet Options > Advanced. This seems like the more secure option, so not sure why it wasn't set...hopefully this doesn't break something else in IE! I did not do further research on this specific option or why it was at all related to Flash rendering (and only flash that had wmode=opaque or wmode=transparent). Sigh.